Simon has appeared on the BBC, Channel 4 & 5, ITV and has lent his voice to a multitude of projects including a BAFTA-winning TV show. He was a finalist in the Amused Moose Talent Quest, Laughing Horse New Act, Bath New Act, Leicester New Act, Jongleurs Comedy Callback and a semi-finalist in the BBC New Comedy Awards. Always the bridesmaid. Equally at ease with sets or compering, Simon has performed for promoters and venues all over the country including The Comedy Store, Amused Moose, Off The Kerb, Komedia, Avalon Comedy Network, The 99 Club, Jongleurs, Christian Knowles Productions, Mirth Control, Highlight, The Comedy Club and The Comedy Company. He has also performed further afield in places such as New York, Los Angeles, Croatia, Tenerife, Czech Republic, Switzerland & Guernsey and closer in a field at festivals including End Of The Road, Bestival, Kendal Calling, Guilfest & Sonisphere. In 2009, Simon appeared in his first Edinburgh show, ‘Life Of Si’ with comedy compatriot Sy Thomas, following it up in 2010 with ‘Life Of Si: Si Harder’. 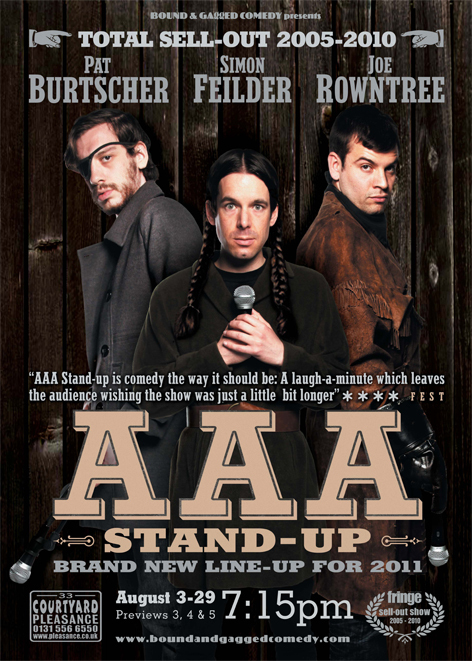 In 2011 Simon was picked to be part of Bound & Gagged’s ‘AAA Stand-Up‘ show at Pleasance Courtyard.Simon took his debut solo show to the Pleasance Courtyard at Edinburgh Fringe in August 2014 and in 2015 & 2016 supported Ellie Taylor on her UK tours. Throughout 2016 Simon produced the comedy vlog web series ‘Die Trying’ and took a show of the same name to the Edinburgh Fringe that year.